A whole bunch of challenges are cropping up in book review blogs and they are very tempting to join. 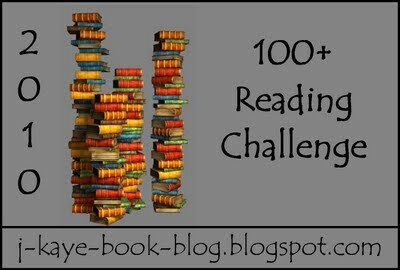 This one hosted by J. Kaye's Book Blog is a popular and fun one to join because you get to see how many books you've actually read in a year. So I'm joining! 2. Audio, Re-reads, eBooks, YA, Library books, Young Reader, Nonfiction – as long as the book has an ISBN or equivalent or can be purchased as such, the book counts. 6. When you sign up under Mr. Linky, put the direct link to your post where your books will be listed. Include the URL to this post so that other viewers can find this fun challenge. If you’d prefer to put your list in the sidebar of your blog, please leave your viewers the link to the sign up page. Again, so viewers can join the challenge too. Click here to sign up. This is the link to my Books Read in 2010 list. As of now there are already 100 who have signed up. Are you thinking of joining? I really should sign up for this challenge, but I'm trying to be cautious with challenges until I see everything out there. Good luck! 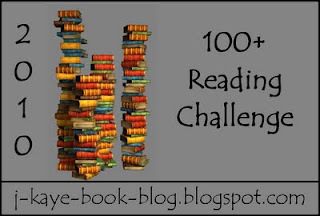 This challenge isn't for me - I'm lucky if I can read 50 books in a year. I couldn't keep up the pace for 100! Good luck with your 100!